With London Wine week upon us I thought it might be a suitable time to think about wine and its implications. Wine is believed to have been imbibed since as far back as the stone age. Long before we began crushing the grape, many of the animal kingdom probably realised the intoxicating powers of fermented fruits and enjoyed their dizzying effects. I recall seeing a nature documentary where some rather cheeky monkeys were quite literally falling out of their trees (see below). It was the ancient Greeks and Romans who really embraced its apparent medicinal and social properties. They even had their own Gods devoted to the cause. 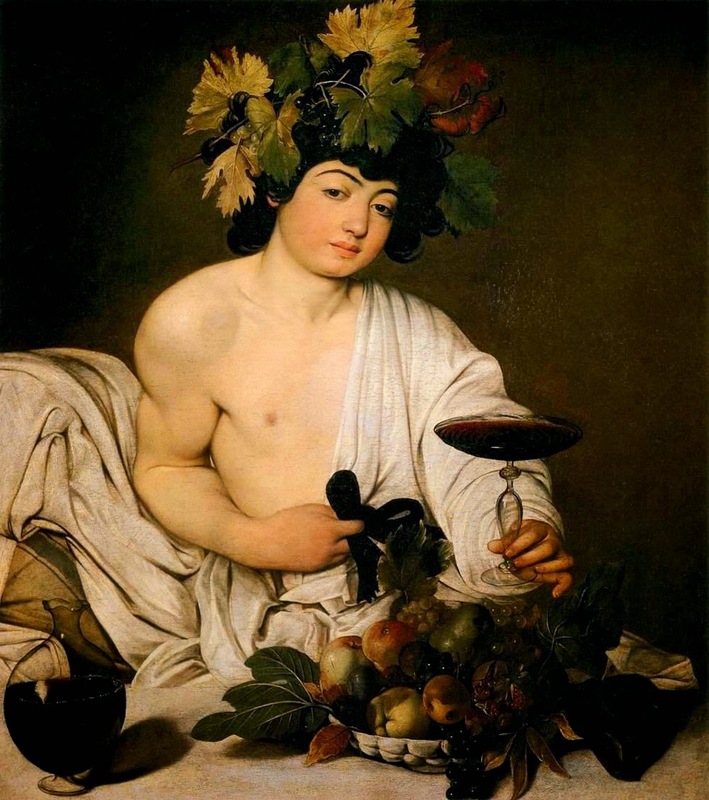 In Greek mythology you had Dionysus and the Romans had Bacchus. The symbolism of wine is embedded in many religious cultures and has long been used in ceremonies and festivals. As a result of the long and historic enjoyment of wine, came ideas borne out of the need to hold, carry, transport and serve it. The silver industry has long produced items associated with this wonderful nectar and throughout history, as tastes and styles changed, so too have vessels for the serving of wine. In the George III period, wine would be decanted into a glass decanter using a silver wine funnel. Comprising of two sections, the wine funnel pulled apart to allow a piece of muslin to be fixed internally with a silver band (often missing). Once reassembled, the muslin worked to filter out any sediment as the wine passed through. The end of the funnel was curved to direct the wine to the side of the decanter. This was to prevent the wine from bruising which would occur if it were allowed to fall directly to the bottom of the decanter. Georgian wine funnel. Click here to view on our website. Wine funnel in two parts. Once filled, the decanter would be presented on the table in a silver wine coaster. Usually, these would comprise of a silver band with a wooden base. However, there are some examples with silver bases. Glass decanters with wooden-based silver coasters. A perfect match. As tastes became more elaborate in the Regency, George IV and Victorian periods, the fashion developed to serve wine in an all silver wine ewer. Some of these ewers were very ornate. An ornate Victorian wine ewer. Click here to view on our website. 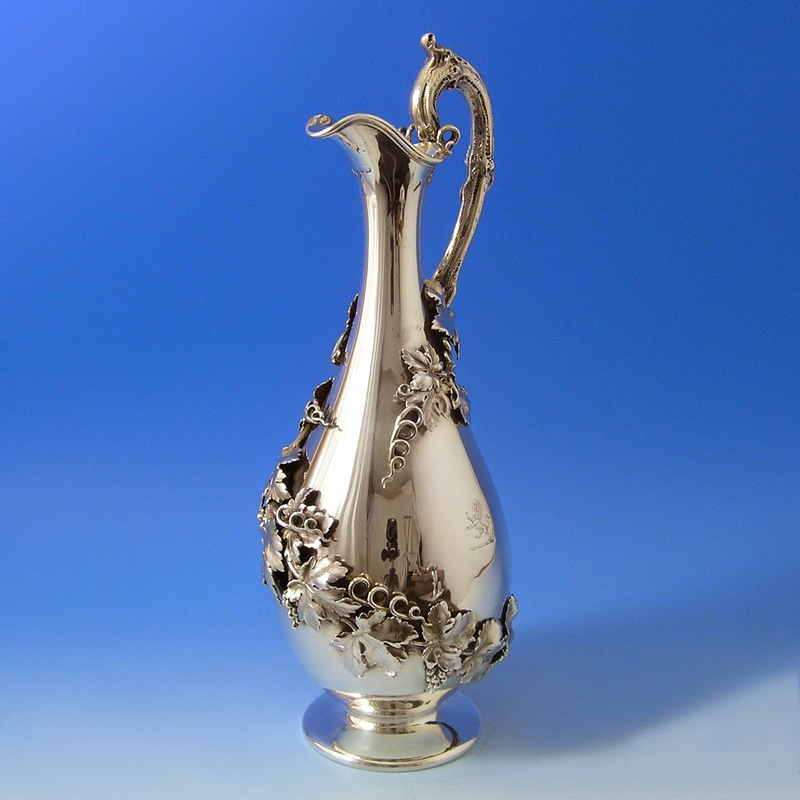 In the mid Victorian period, the Claret Jug was introduced, comprising of a glass body with a silver mount, the claret jug is an amalgamation of the glass decanter and the silver ewer. Victorian Claret Jug. Click here to view on our website. Today, claret jugs are still a popular way to serve red wine but the most common way is to simply present the wine bottle at the table in a stylish silver wine coaster. White wine required much less fuss and need only be chilled and served in a silver cooler. Now let's raise a glass, or a Marula fruit in the case of these drunken animals from a vintage nature documentary, to London Wine Week!